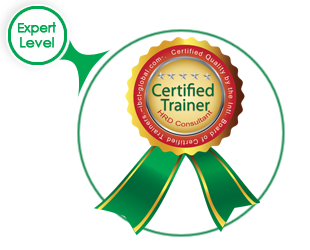 International recognition as a Certified Trainer and HRD Expert (CT/HRDC). You’ll earn a diploma in HRD. The IBCT International Training License Card. Two unique IBCT syllabi. (Valuable reference books). Having a personal IBCT coach. Lots of practical training tools and training aids. Templates and USB stick with models and tools. Expansion of your international network. The right to use the IBCT Certified Trainer (CT/HRDC) Hallmark in all printed and virtual matters. Listing your name & credentials to the international ‘CT’ Directory on the IBCT website. Free Access to the IBCT LinkedIn professional group and Facebook professional page. An university graduate (Post Master level is preferable). Experience as a trainer with customer satisfaction reports. Thoroughly discuss concepts of strategic corporate education. Conduct organizational, cultural and functional analysis. Assess training needs at all levels. Design training and develop challenging learning processes. Plan and endorse a powerful transfer of training. Conduct training program evaluation at the four levels of Kirkpatrick. Write, evaluate, present and convince the management with your project plan. Plan for his/her continuous development. Reflect and evaluate his/her professional performance. Perform a professional didactical analysis. Apply a wide range of advanced training techniques/methods. Provide constructive feedback (on didactic skills). Dealing with troublesome situations and professional dilemmas. Project management: transferring learning to organizational results. Organizations & corporate training programs, an introduction. Company scans & training needs assessment. Transfer of training & (on-the-job) coaching. Examination session: presenting of the improvement plan (project plan). Program is evaluated according to the first and second levels of Kirkpatrick model per run. Investment: US $2,995 excluding airline ticket, including hotel package. Return on Investment: Our research showed that previous program evaluation demonstrated a Return On Investment of 1.5. (controlled by Deloitte Accountants).